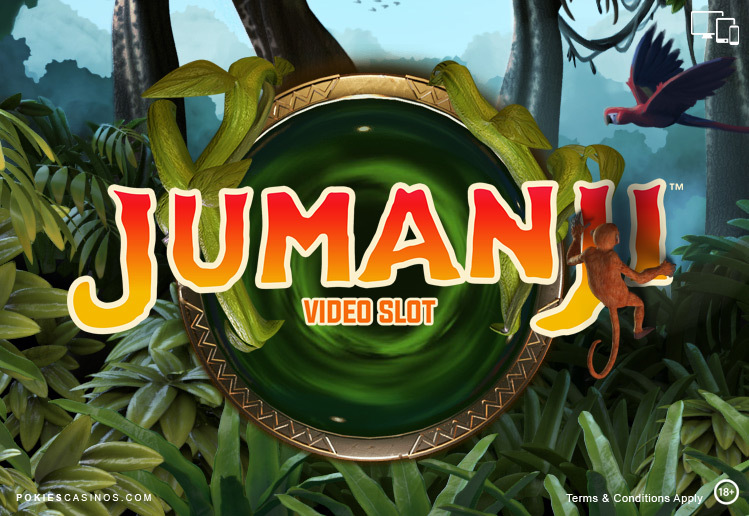 Jumanji Pokie is powered by the well known software gaming company NetEnt and has 36 paylines with 5 Reels. Jumanji video slot is inspired by the classic 1995 film Jumanji, from Sony Pictures Entertainment featuring Robin Williams and Kirsten Dunst. This unique game is based on the tale of teenagers who became trapped within the magical board game. They must overcome the magical powers to escape! The unusual honeycomb reel layout makes Jumanji stand out from other video slots. Players can get completely immersed in the game with the pounding drumbeat, animal calls and captivating graphics. Set in the jungle, symbols include playing cards , pelicans, crocodiles, lions, rhino. Jumanji is all about the Board Game where you get to roll the Dice to move around the board game to win cash prizes, extra rolls and access to the bonus features. The wild is a big, gold ‘Wild’ which will substitute for all other symbols to form winning combinations s except for the Jumanji Box scatter symbol. Wild Stampede: Rhinos stampede while the reels spin, adding four to nine Wilds. Monkey Mayhem: Awards wins when the reels stop before all symbols get shuffled randomly creating a guaranteed win. Monsoon Wilds: One or two reels get completely covered in Wilds while the reels spin. Sticky Vines: All winning symbols and Wilds from the initial spin stick to the reels while the other symbols spin again. The Rhinos will stampede across the reels while the reels are spinning. In the process, between 4 and 9 wild symbols will be added to the reels on every free spin. The symbols shuffle around randomly helping to create winning combinations. 1 or 2 reels can become fully wild with the reels spinning. All symbols that form part of a winning combination stick to the reels while the other symbols re-spin. The re-spins continue until no new winning combinations are formed or until the reel set is completely filled. The Board Game Bonus game is triggered when 3 or more Jumanji Box Scatters appear anywhere on the reels. Free Spins, Coin Wins, Extra Dice Rolls and a Mystery feature. Vines Free Spins – 10 free spins, and re-spins for a winning combination. Monkey Free Spins – 6 free spins – on each spin the reels shuffle to create wins! Stampede Free Spins – 5 free spins with up to 9 symbols turning wild with each spin. 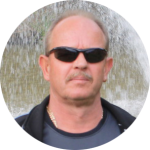 Coin Wins – Win up to 10x extra cash prizes on the board. Extra Rolls –the Extra Rolls position awards extra rolls of the dice to keep the game going. The Mystery feature displays a carousel which can award 1 of the 4 Free Spins features. Land on Coin Wins which awards between 2x and 10x the stake plus 2 extra Dice rolls in the Jumanji circle. Auto Play allows the reels to spin automatically without interruption. Players can set the number of spins to be played and there are various options when the reels should stop.